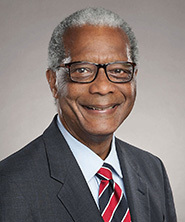 The Honorable Ronald E. Cox (Retired) has joined the panel at JAMS (Judicial Arbitration and Mediation Services) the largest private provider of alternative dispute resolution (ADR) services worldwide. Judge Cox joins JAMS after more than 23 years of service on the Washington State Court of Appeals. During his tenure with the court, Judge Cox served as presiding chief judge of the entire court. He also served a separate term as chief judge of Division I of the court, which is headquartered in Seattle. "Judge Cox is a known for his rigorous attention to detail, efficiency and in-depth understanding of the cases he presides over," said Chris Poole, JAMS president and CEO. "We are confident that he will make an excellent addition to the JAMS panel in Seattle." "Throughout my career, I developed and refined my skills to help parties resolve disputes, which is something I'm passionate about," Judge Cox said. "I'm looking forward to continuing that journey in my new role as a neutral at JAMS."